By now everyone is probably aware that Ford Motor Company has announced plans to drop nearly every non-utility vehicle from its lineup outside of the Mustang. While the initial announcement lacked any sort of context at to the brand’s plans to replace its car volume, some additional information is starting to trickle out. Basically, Ford is going to replace most of its sedans with more crossovers. In an effort to calm nerves within its dealership base, the company offered a peak under the curtain to dealers last week in Las Vegas. The peak included a look at some future products, but also a verbal on plans for additional crossover models to indirectly replace the Fiesta, Fusion, Focus and Taurus; all of which will be out of production by mid-2019. Naturally, the company was still vague with dealerships regarding the future products. The only nugget of information being reported by The Detroit News is that the company is going to offer an assortment of “small, rugged” utility vehicles to replace the less expensive sedans the company is axing. 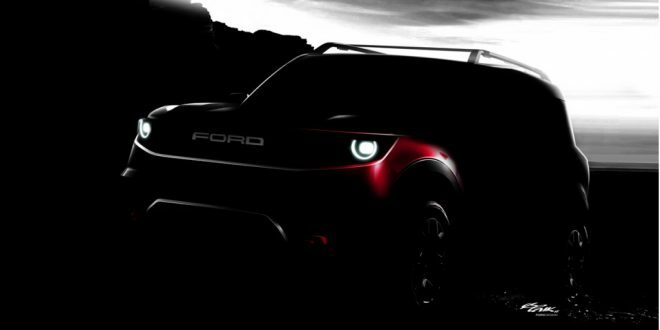 The company has already publicly confirmed plans to rollout a new “baby Bronco” crossover, but apparently there are more small offerings coming than just the one. Dealers were also reportedly shown hybrid versions of the 2020 Explorer and 2020 Escape. Ford reportedly apologized to its dealerships in attendance at the conference for the way of which the company announced the death of its sedan lineup. Overall, some dealerships say they left the meeting more confident about the brand’s future, while some are still skeptical of the dramatic shift coming in the Blue Oval’s product portfolio.